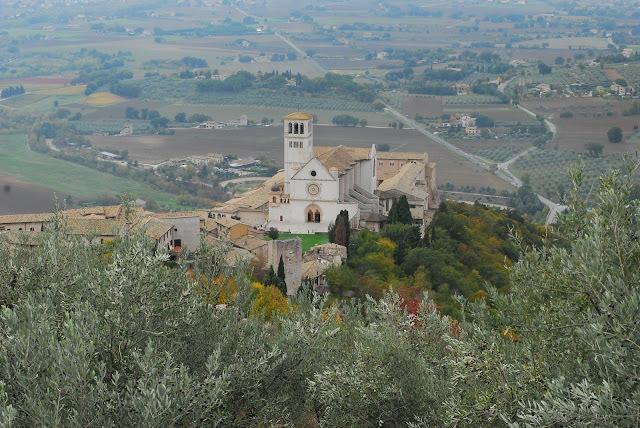 ﻿Today’s post is a simple picture of a very special place; Assisi, the City of Peace in the Green Heart of Italy to accompany this special day Americans are given to show respect to our veterans. John Doolittle’s quote sums up this special holiday, reminding us why it is a holiday worth remembering. “America's Veterans have served their country with the belief that democracy and freedom are ideals to be upheld around the world.” May all of our veterans find peace within themselves for their service to our country and may my ears never hear what I heard a person tell me yesterday - that this is a ‘nothing holiday.’ Veterans Day is a holiday worth remembering. To our troops and their families, we say ‘Thank You.’ Peace.